Last month, I argued that struggling malls could be converted to mixed-use housing developments. 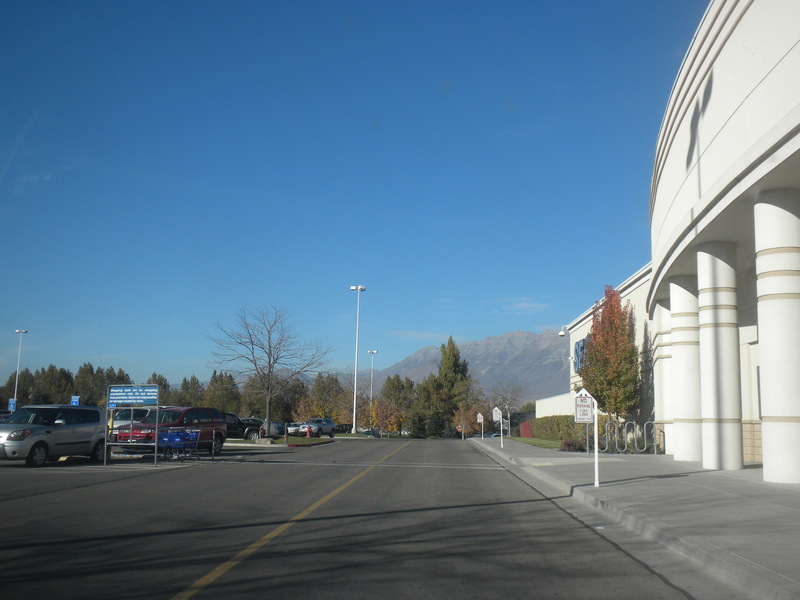 The idea is that adapting malls accomplishes several goals simultaneously and economically; it diversifies a city’s housing stock, capitalizes on a huge but (in Utah County) floundering asset, cuts down on the need for massive parking lots, and potentially produces a cooler kind of living space in more monotonous cities. 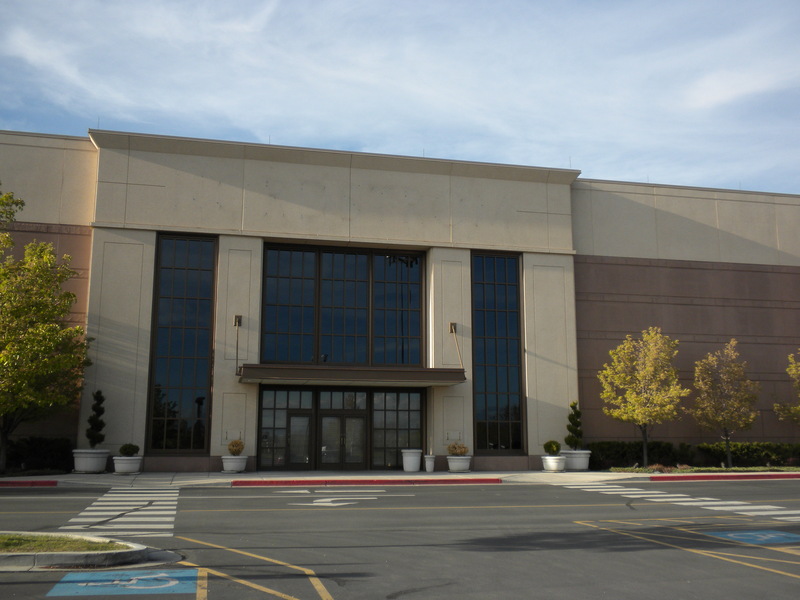 The Orem mall is a prime candidate for adaptive reuse — or in other words being converted to housing. I used Provo’s Towne Centre [sic] mall as my case study, but that’s not even the best candidate. Orem’s University Mall is already two thirds empty, so there’s really no reason not to give this idea a try there. Orem also lacks a central downtown, which problem could be remedied by turning the current mall into a diverse neighborhood. The area around University Parkway and 2230 North — near Movies 8 and Shopko — is also a prime candidate for redevelopment; there’s a lot of space there, but the current configuration hasn’t produced anything really successful. But the real question is, would any of this actually work? […] this spring a shuttered shopping center in downtown Providence will be reborn in micro form, with two stories of micro-apartments above ground-floor micro-retail. The end product, at least according to the pictures, looks kind of like a much cooler version of City Creek. There are a few caveats: the Providence mall is historic, micro apartments aren’t for everyone, Providence isn’t Provo, etc. etc. If relatively stable Providence can sustain a mall-to-neighborhood conversion, fast-growing Provo should easily be able to do the same. But the specifics aren’t what cities like Provo should copy. Instead, the broader idea of taking something old and adapting it is the point. The end product can be historic, industrial, or just plain vanilla and can be designed to appeal to any demographic. In the end, however, it simply makes sense to take big empty-ish buildings and turn them into some sort of living space — especially in Utah County, where the population is expected to double in the coming decades. One more thing also deserves mentioning: implementing this idea could have an array of benefits on the community, but it won’t work if we make the areas surrounding our adaptation cites more hostile. I’m specifically speaking of the area around Movies 8 that I mentioned above. That spot may get a super street, which would produce more, faster traffic. It would be hostile to pedestrians and bikes. That spot already produces many failed business, which I’ve argued is a result of its design, but if we make it more hostile to people it’ll be that much harder to adapt it into a livable neighborhood. And as this recent example from Providence shows, adaptation really is something that can work. Lawmakers are currently considering a proposal to begin moving the Utah State Prison, which sits prominently on the west side of I15 in Draper. The idea is that the prison occupies valuable space along the Wasatch Front that would be better used for new development. More specifically, some people want to create a tech hub in Draper. Everyone would benefit from more high tech companies in region, but suggesting that the prison needs to move to bring them in is a fallacious argument. Indeed, it would be vastly better to encourage tech companies to locate inside existing development. As a result, cities like Salt Lake and Provo should be doing everything they can to make sure new jobs aren’t lost to future sprawl. That means opposing the prison relocation. 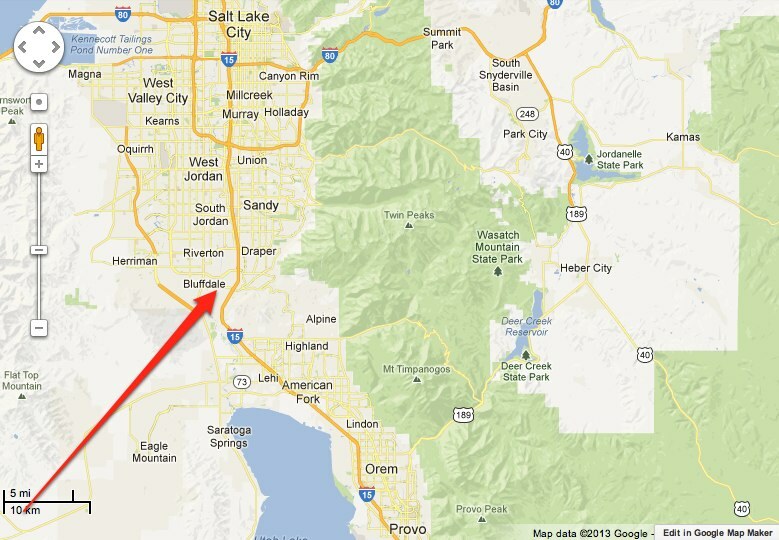 The arrow points to the approximate location of the Utah State Prison. Lawmakers want to move the prison to make room for tech development, but it makes more sense to create tech hubs in existing urban centers. Relocating the prison creates a variety of shorter-term problems. For one, it means more new development even as most cities along the Wasatch Front already have very low densities and plenty of room for more infill. In other words, there is absolutely no need for more massive new subdivisions. Moving the prison also creates more distant development that requires more driving; Draper isn’t proximate to anything, so new development will require long trips to get anywhere. Historically, Draper has also been filled with car-oriented development, meaning residents have to drive short distances for everyday errands as well. It’s a lose-lose situation, and is particularly baffling at a time when we’re trying to clean up our worst-in-the-nation air. But city governments should particularly oppose the prison relocation because it effectively stacks the decks against their efforts to win talent and jobs. Why would a tech company move to Provo or Salt Lake, for example, when they can get cheap land from the government in the middle of nowhere? In other words, moving the prison is a government subsidy for sprawl. It would involve spending hundreds of millions of dollars to just make it less appealing to develop a tech hub in an urban center. Relatedly, last year I contrasted the new campuses of Amazon and Apple. Basically, Apple is building a huge new building out in the suburbs, while Amazon is investing in the urban core of Seattle. Lawmakers who want to move the prison are effectively trying to create Apple-style development, even though analysts have said the Amazon version is actually the one that is benefiting its surroundings the most. Ultimately, there’s no reason cities like Salt Lake and Provo couldn’t, or shouldn’t, create internal tech hubs. Moving the prison, however, makes that harder because it uses government money to pick winners and losers. 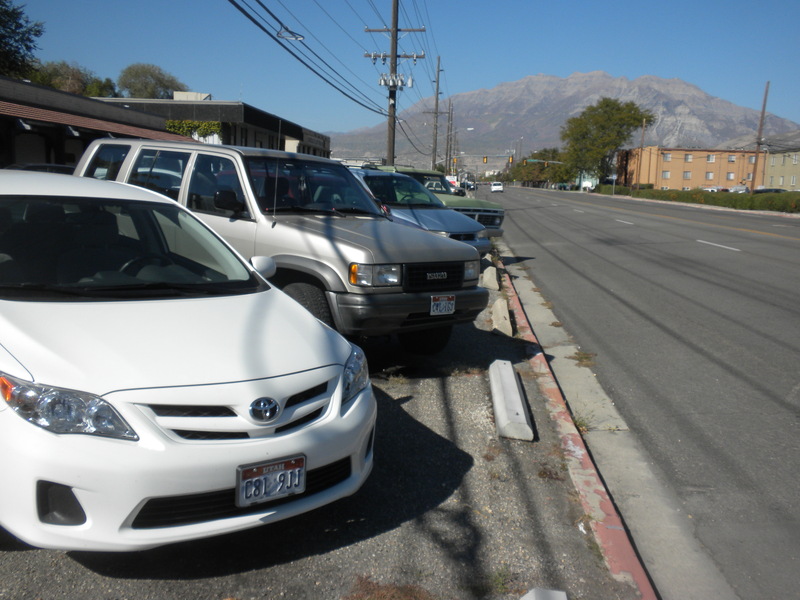 One of the most popular posts ever on this blog discusses the “interchange boondoggle,” or the many failings of Provo’s new I15 on-off ramp on Center Street (click here for a second post on this topic). The post is popular, I think, not because it’s particularly great but because the onramp is so obviously horrible and everyone hates it. It’s like a nightmare, except that it’s real and cost more money than most of us will make in a lifetime. 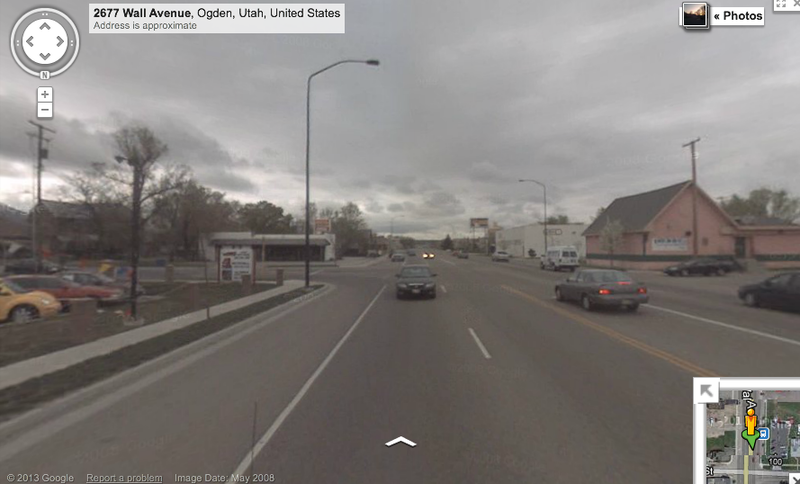 And yet despite the absurdity of this piece of built environment, Provo may get another highly questionable, computer-generated intersection that promises to be a disaster for pedestrians, cyclists and humans generally. 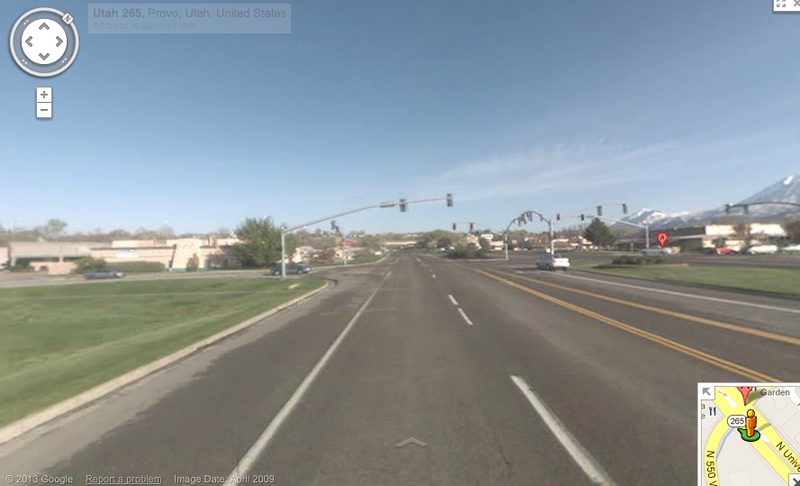 Utah Department of Transportation officials told legislators Wednesday they are considering using that new design — sometimes called a J-turn, or a restricted crossing U-turn — in Provo at the intersection of University Parkway and 2230 North. The idea is to increase traffic flow and cut down on driving time for most people. 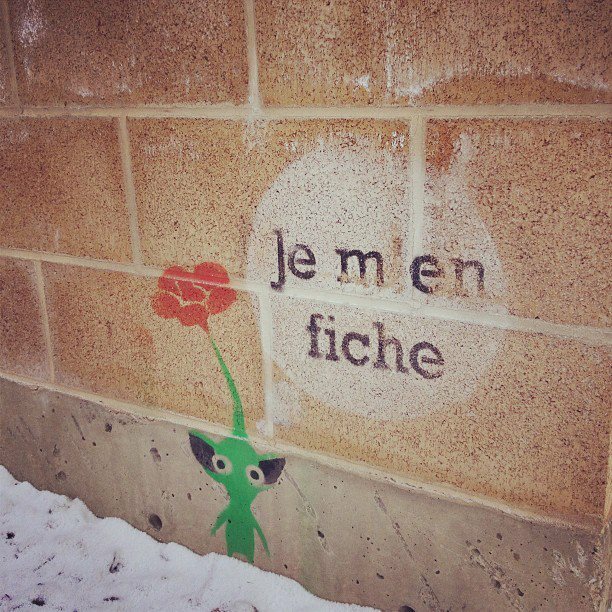 Fair enough. The Super Street design would force all traffic on 2230 North to turn right. Motorists who wanted to go straight or left could make a U-turn a few blocks down on University in a provided spot. Those who wanted to go straight could return to the intersection and turn right onto 2230 North. In theory – i.e., in conflict-point diagrams – these intersections should be safer than more traditional ones. But there are two caveats to that promise: Sangster is really talking about safer intersections for cars. Pedestrians and bikers aren’t figured into any of these models, and Sangster has yet to encounter designs that do a good job of incorporating them (or transit). There also isn’t much hard data on the safety of these designs because so few of them have been built (and even accurately modeling them on a computer can be tricky and expensive). That point about hard data is also worth emphasizing. The Center Street I15 interchange almost certainly looked good in a diagram, but there was so many accidents that they had to alter it with a stop sign. I still see accidents almost every time I use it and, again, it’s widely hated. So diagrams aren’t necessarily a good indicator of how people will actually behave. 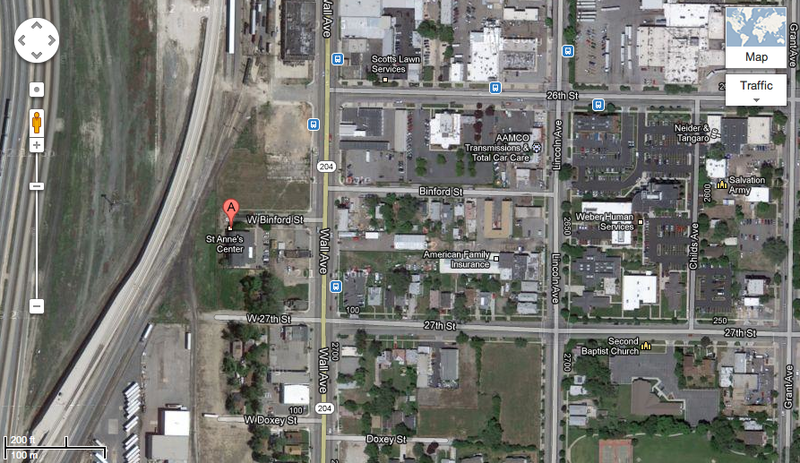 UDOT is considering a confusing new kind of intersection for this already bad spot. Instead, this space needs to be more pedestrian-friendly. 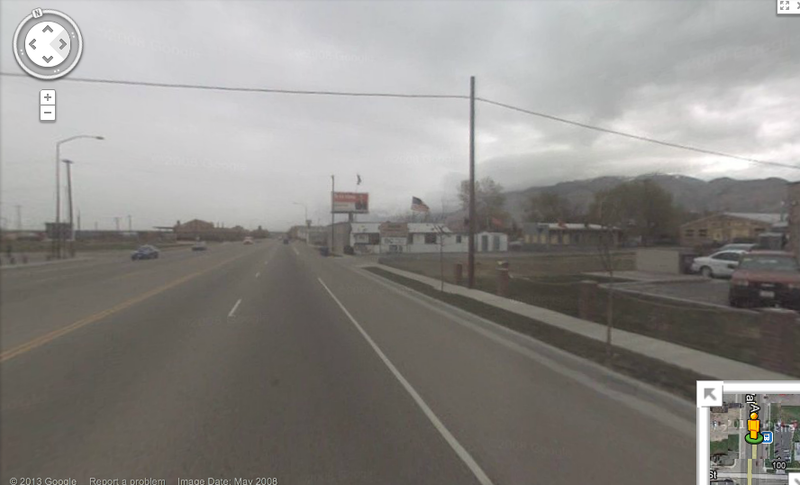 The intersection in question is certainly bad as it currently stands, but it’s is not a highway outside of town. It’s also a prime candidate for the kind of parking lot infill that I advocated in this post — though a bigger, ugler and more dangerous intersection wouldn’t promote infill. And in any case, it’s the type of place that we need to make more pedestrian friendly and more bikeable. It needs to be more human. But this “super street” doesn’t look promising. Instead, it looks like more car-oriented infrastructure that is increasingly out of tune with a city striving for a high standard of living. 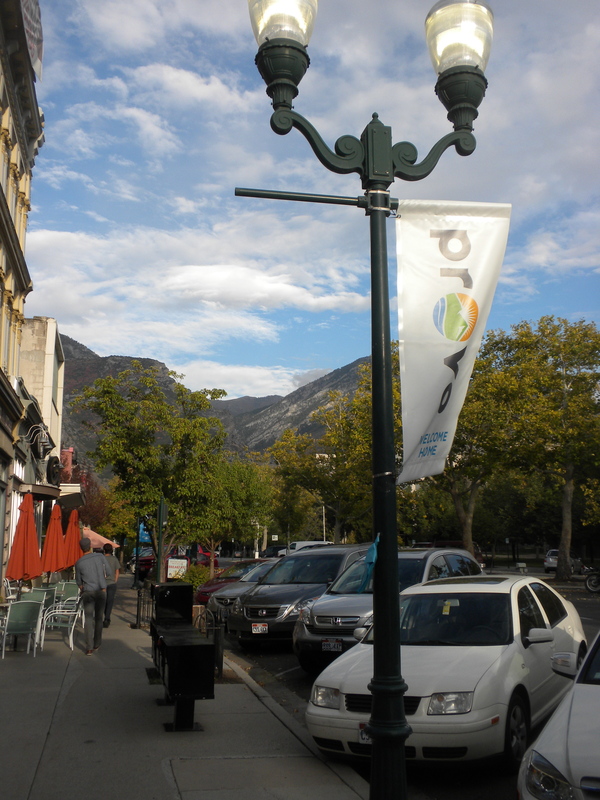 And ultimately, Provo doesn’t need another disastrous boondoggle.